In 1984, Kosh Daphtary and his wife, Surma, started Chemtech International with just $400. From that modest beginning, Chemtech has become a global leader in the international marketplace. 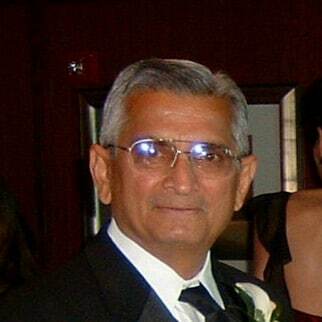 It all started when Kosh came to the U.S. in 1963 to earn bachelor degrees in chemical engineering and chemistry; a master’s degree in chemical engineering and completion of the Wharton School of Business and Management Graduate Program. This was followed by experience in a variety of industries, including pulp and paper, plant design, consulting, construction, and chemicals. Kosh then traveled to many parts of the world and uncovered an opportunity to distribute products in the emerging field of environmental compliance and in specific aspects of the chemical industries. And Chemtech International was born. Kosh taught his wife the business and gave her technical training pertaining to the products Chemtech sold. She kept in touch with the domestic and overseas customers, and took care of administrative and day-to-day operation of the company. The business grew at a steady pace and Kosh became actively involved in the local, domestic and international trade community. By 2010, 50 percent of Chemtech’s revenue was generated from exports to almost 30 countries. Kosh and his family still run the business today. Over the course of the 30 years, the family has taken great pride in serving their customers with the highest quality products and the best service. Every few years Chemtech reinvents itself, introduces a few products that customers want, in order to maintain its export growth. Kosh’s son, Neel Daphtary, joined the company in 2001 as a Sales person. He has a B.S. degree in Marketing from Cabrini College. And today he is President of the company, runs Sales and Marketing, and (with some help from Kosh,) oversees the entire domestic and international business. Chemtech International is a global solutions provider for the manufacturing needs of various industries, municipalities, safety and environmental controls. We offer a range of quality products and reliable services with an emphasis on sustainability using US technologies and products the world over. With 30+ years of experience providing solutions to domestic and multinational clients such as BMW, Boeing, Coca Cola, DuPont, Marathon Oil, Petronas, Esso, PPL and Pfizer – to name a few, our reputation precedes us. Our areas of operations include wastewater testing, analysis and treatment; pharmaceutical manufacturing; chlorine and industrial gas cylinder valves; secondary containment for oil and hazardous chemical spills. We offer the best value, quality and customer service industry can buy! Over the last thirty years, Chemtech International Inc., established in the state of Pennsylvania has been manufacturing, distributing and marketing high quality, products, systems and technologies for a broad spectrum of markets all over the globe. Operating from the Northeastern seaboard of the United States and based in the greater Philadelphia region, Chemtech International has a solid network of distributors and agents. We work with direct agents on the ground in South Africa, Australia, Europe and the U.S. In addition, a well developed network of distributors serves our customers in Canada, Mexico, Austria, Belgium, France, Germany, Holland, Italy, the United Kingdom, Central and Eastern European countries, India, China, Hong Kong, Singapore, Thailand, Malaysia, Vietnam, Philippines, Indonesia, Taiwan, Australia, South Africa and countries in the Middle East. In each of these countries, Chemtech International has experience in marketing products, bringing technical services and providing solutions to solve problems for our customers. Chemtech Int’l exports all its products worldwide and has its network of authorized distributors, sales representatives and customers in the countries shown below.